After a day of heavy tropical rain, a colourful sunset seemed a remote possibility. 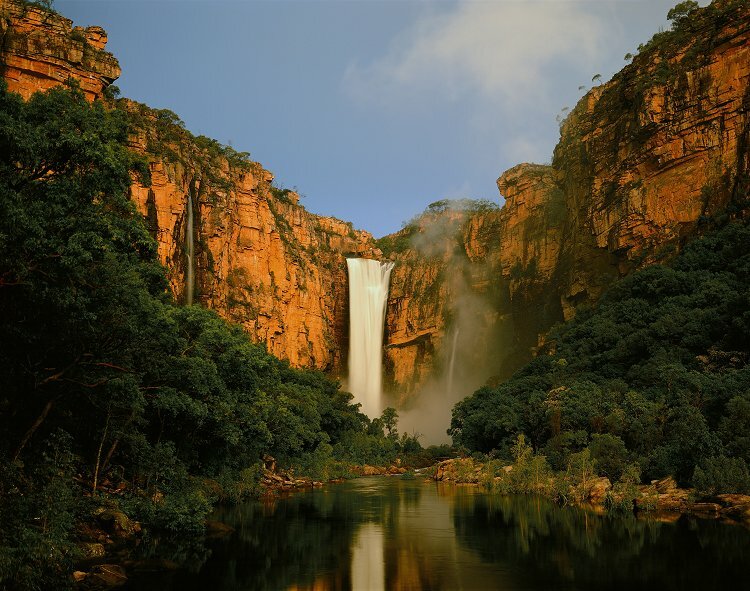 At the last moment, the sky warmed up and the very last rays of the setting sun ignited the Kakadu escarpment into a blaze of glory. I grabbed my camera and ran as fast as I could to my favourite lookout.